Obituary for Betty L. (Tiernan) Shaffer | McIlvaine-Speakman Funeral Home LTD.
Betty L. Shaffer, 85, of Houston, died Thursday, November 22, 2018, in her home with family by her side. She was born January 18, 1933, in Fairhope, a daughter of George and Rachel Jackson Tiernan. Mrs. Shaffer was a member of the RCA Bowling League and a former member of the Washington Country Club where she belonged to the women’s golf league. 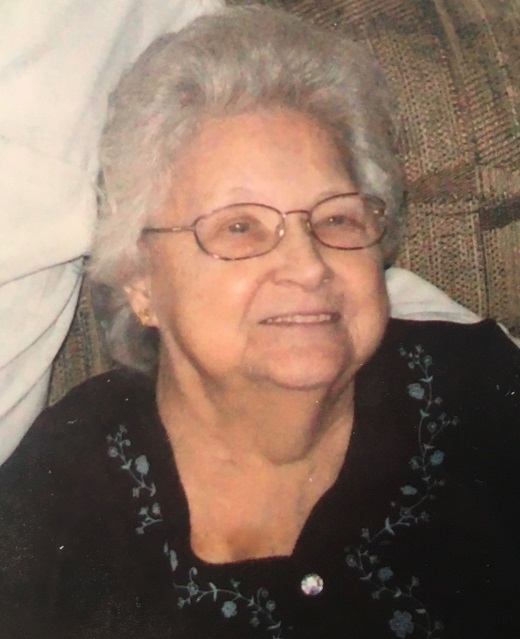 She enjoyed polkas, country music, bird watching and gardening but most of all loved spending time with her family and grandchildren. On December 24, 1956, she married Thomas E. Shaffer, who survives. Also surviving are: two sons, Steven Shaffer of Mineral Point and John Shaffer (Christine) of Washington; four grandchildren, Heather, Daniel, Elizabeth and Abigail Shaffer; four great grandchildren; two great great grandsons; two sisters, Marie Myatt (Ed) of Bon Aqua, TN and Dolores Johnson of Perryopolis; and many nieces and nephews. Deceased are five brothers, Fred, Raymond, Charles, Louis and George Tiernan. Friends will be received from 2 to 4 and 7 to 9 p.m. Monday and from 10 to 11:00 a.m., the time of service Tuesday, November 27, 2018 in the McIlvaine-Speakman Funeral Home, Robert K. McIlvaine, owner/supervisor, 27 Cherry Avenue, Houston, PA 15342.